Italy is located in the heart of the Mediterranean Sea, most of it on a long boot-shaped peninsula. In its northern areas, Italy borders France, Switzerland, Austria, and Slovenia. The island of Sicily lies off its southwest coast. Since ancient times, Magna Graecia, Etruscan, Celtic and other cultures have flourished in the territory of present-day Italy, being eventually absorbed by Rome, that became the leading political and religious center of Western civilization, capital of the Roman Empire and Christianity. As a result, it is home to the greatest number of UNESCO World Heritage Sites of any country, and landmark buildings and art can be found virtually everywhere. It is also famous for its cuisine, which varies from region to region. Not surprisingly, it is among the world’s most popular travel destinations. Italy has a population of 61 million. Rome is its capital, but the country has many other major cities of economic and travel importance – Milan, Turin, Venice, Florence, etc. Its southern areas (the lower areas of the boot) have fewer cities and are much less visited then Italy’s center and north. Geographically, the country is dominated by two mountain systems. The Apennine Mountains form the peninsula’s backbone, while the Alps form most of its northern boundary and include Western Europe’s highest point, Mont Blanc (4,810 m/15,782 ft) on its border with France. 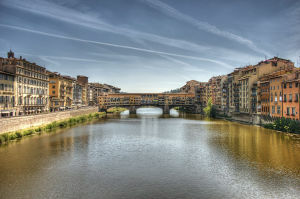 Italy is also known for its large and scenic lakes, primarily in the northern part of the country and fed by the Alps. The five largest are, in descending order: Garda (367.94 km2 or 142 sq mi), Maggiore (212.51 km2 or 82 sq mi, shared with Switzerland), Como (145.9 km2 or 56 sq mi), Trasimeno (124.29 km2 or 48 sq mi) and Bolsena (113.55 km2 or 44 sq mi). 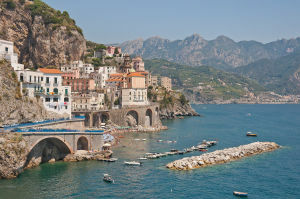 The Amalfi Coast is located southeast of Naples. It is a UNESCO World Heritage Site in recognition of the stunning beauty of its coastline, which includes iconic medieval cliff-side Mediterranean fishing villages and azure sea. Visitors can visit the area by land, including extensive hiking and biking trails, or by sea, with extensive boat touring options. 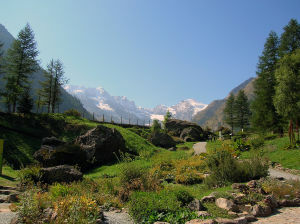 The Aosta Valley is located in northwestern Italy, separated from the French border by Mont Blanc. The upper valley has a cable car system that connects with the much larger system on the French side. The valley also includes outstanding historical, cultural and artistic heritage, as well as diverse hiking and climbing opportunities in the summer and alpine sports in the winter. Bologna is a mid-sized city located in north-central Italy. It is well-known for its beautiful, well-preserved town center, marked by miles of covered walkways. 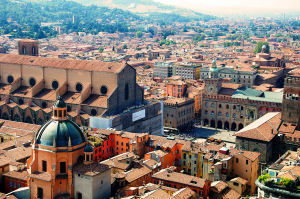 Bologna is home to the oldest university in the Western world, and is also famous for its cuisine. The Dolomites are an especially beautiful part of the Alps, located in northeastern Italy. The central travel hub of the Dolomites is the scenic town of Cortina d’Ampezzo, reachable by vehicle or by scenic railway. 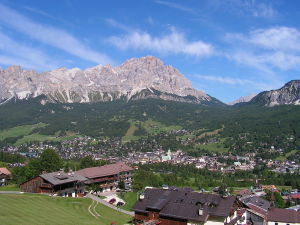 Cortina d’Ampezzo is a year-round alpine resort with ski lift network for winter sports and extensive trails for hiking and biking. Florence is a mid-sized city and the capital of Tuscany, Italy. 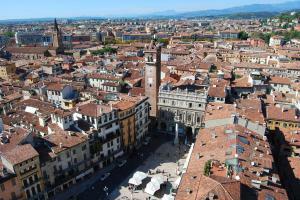 The city was the birthplace of the Italian Renaissance, and is a UNESCO World Heritage Site. Politically, economically, and culturally Florence was the most important city in Europe for over 250 years; from the late 1200s until the early 1500s. Today it is recognized as one of the world’s great cultural, artistic and architectural legacies. 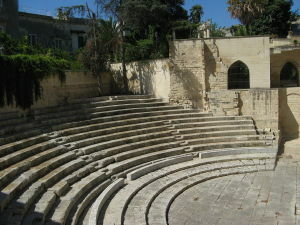 Lecce is a historic city located on the Salento Peninsula in southeastern Italy. The city’s architecture is distinguished by its elaborate style of baroque buildings, giving it the nickname “Florence of the South.” It is home to Roman archeological ruins, while its surrounding areas provide interesting villages and extensive beaches. Milan, located in northwestern Italy, is the country’s second largest city and its financial and industrial center. The city has the most global feeling of Italy’s cities. While much of Milan feels modern, it has a historic district well worth visiting: Cinque Vie. 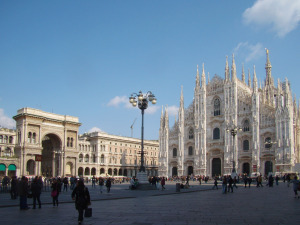 Among Milan’s most significant features is Leonardo da Vinci’s “The Last Supper,” a UNESCO World Heritage Site. Mount Etna, located in northeastern Sicily, is one of the most active volcanoes in the world. Upper areas are dominated by an eerie volcanic landscape, with solidifed "rivers" of lava. Lower down, the fertile volcanic soils support extensive agriculture, with vineyards and orchards. 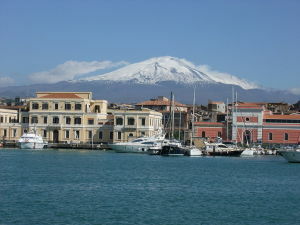 Mount Etna is a UNESCO World Heritage Site, and can be access via cable cars and special vehicles, as well as hiking. 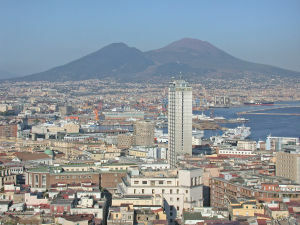 Naples, capital of the Campania region south of Rome, is one of Italy’s largest cities. Its historic center is a UNESCO World Heritage Site, holding the largest number of designated landmarks in the world, ranging from town squares to churches. The major attraction of nearby Pompeii is seeing an ancient city that has been preserved in detail -- everything from jars and tables, to paintings and people were frozen in time. Situated on the river Tiber, between the Apennine mountains and the Tyrrhenian Sea, the "Eternal City" was once the administrative center of the mighty Roman Empire, ruling over a vast territory that stretched all the way from Britain to Mesopotamia. Siena is a mid-sized city located in Tuscany, south of Florence. It is a UNESCO World Heritage Site for its historic center, which is little changed from when Siena was a wealthy and independent medieval city-state. 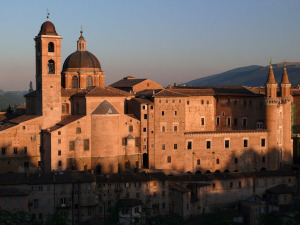 Today’s Siena is famous for its cuisine, art, museums, and overall medieval cityscape. It is also known its unique horse race, Il Palio, conducted twice each year in the summer. 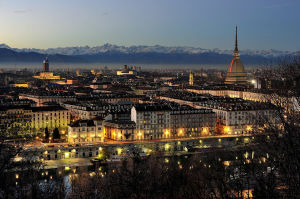 Turin is a large city located in the Piedmont region of northwestern Italy. It is known for its beautiful setting, with the Po River running through the city, gentle hills overlooking the city, and the Italian Alps off in the distance. It is also known as the home of Italy's historic royal family, as represented in its UNESCO World Heritage Site, Residences of the Royal House of Savoy. Tuscany is a region located in west-central Italy. Among its many appealing features are its many historic hill towns, beautiful architecturally and surrounded by vineyards producing Chianti and other wines. 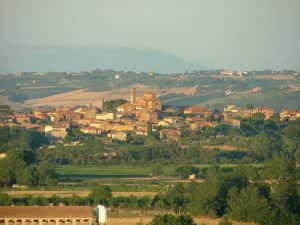 A good place to start is the city of Pienza. Its historic center is a UNESCO World Heritage Site, while its larger surrounding area is a second UNESCO World Heritage Site, Val d’Orcia, cited for its beautiful landscapes. Urbino is a walled city located in north-central Italy. 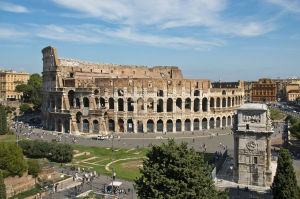 Its historic center is a UNESCO World Heritage Site known its important legacy in the development of Renaissance culture. The town, nestled on a high sloping hillside, retains much of its picturesque medieval appearance, including one of the largest palaces in Italy (Palazzo Ducale). Venice, located in northeastern Italy, is a UNESCO World Heritage Site and one of the distinctive and scenic destinations in the world. Venice is situated on a lagoon comprising 118 islands, with a network of canals and bridges connecting them. 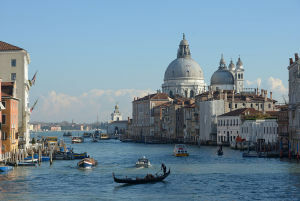 Various areas can be visited by foot, public water taxi, or romantic (but expensive) gondola. Verona is a mid-sized city located in northeastern Italy's Veneto region. It is a UNESCO World Heritage Site known for both its archeological ruins from the Roman period and its historic center, with its rich offering of Medieval and Renaissance churches and art museums. It is also known as the setting for Shakespeare's Romeo and Juliet and what is reputed to be Juliet's House.